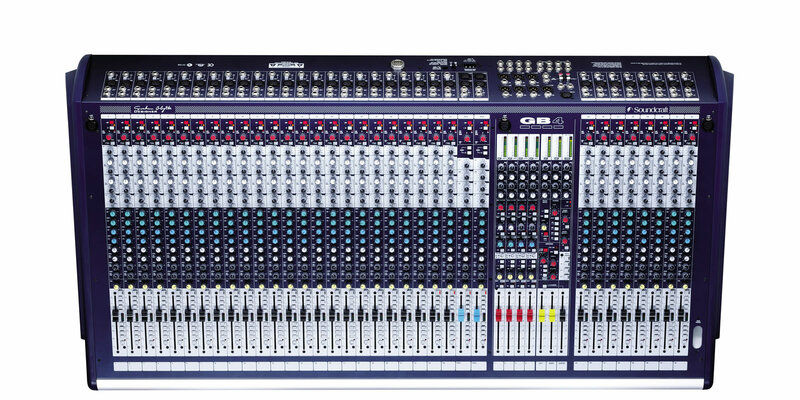 Featuring the GB30 Mic preamps and EQ, the GB4 is designed by Graham Blyth for the company’s 30th anniversary. 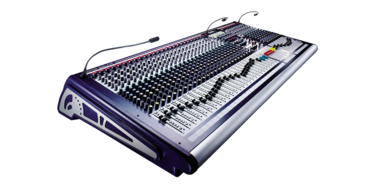 The desks carry the high quality hallmark with which Soundcraft is synonymous, with engineering and design as you'd expect from this high-end manufacturer. Careful attention has been given to the mechanical construction, to ensure reliability under strenuous conditions, with all input modules being constructed with individual vertically-mounted pcb’s, fitted to the steel chassis front panel with individually-nutted potentiometers. 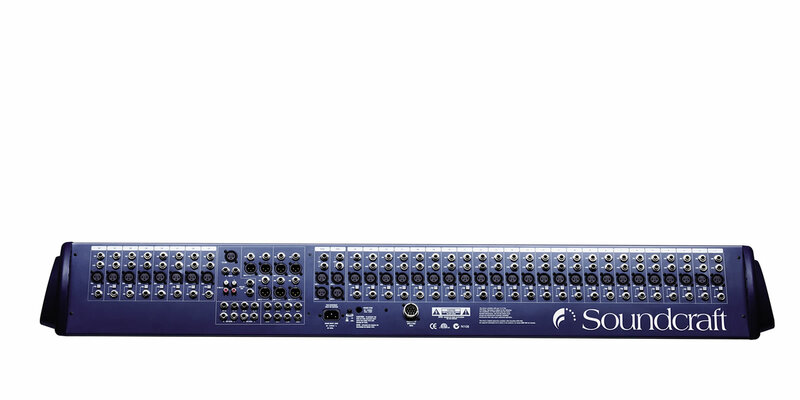 Available in frame sizes from 16 to 40 channels, the GB4 is designed for installations such as churches and performance venues, or for small touring sound systems. 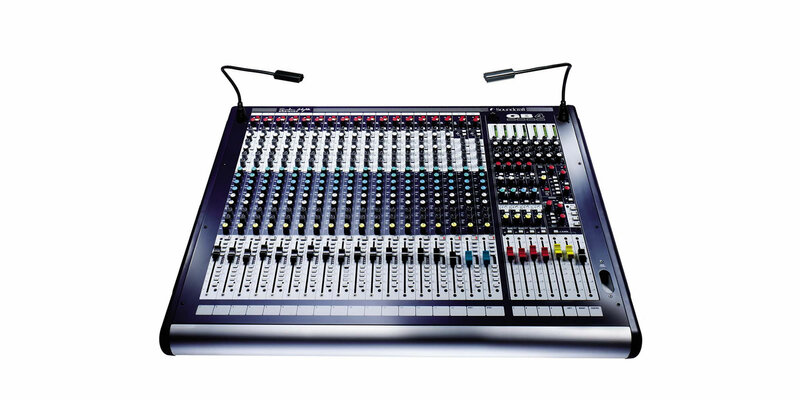 The dual-mode topology implemented to such success on the MH3 and MH4 desks allows the GB4 to be used on FOH or monitor duties, with fader control of group or aux outputs. Although largely conventional in layout, the GB4 does have some unique mechanical features. The rugged steel chassis has a sloping rear connector panel so that it is easier to configure from the front of the desk, while the integral power supply has a link option for an external back-up PSU. 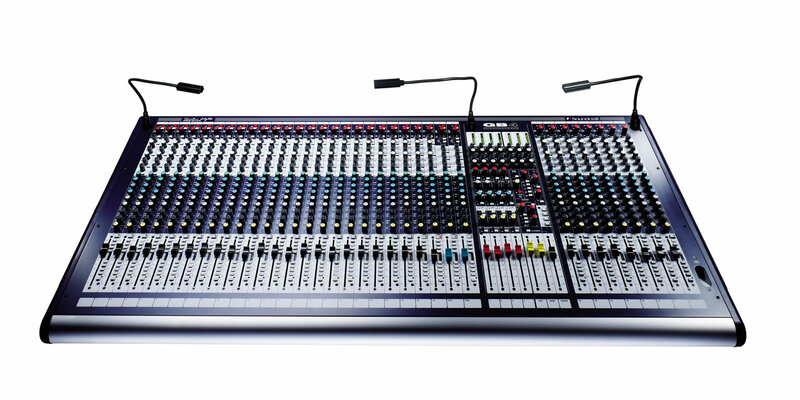 Four mute groups allow several channels to be muted simultaneously, while another unique facility is the limiter on a set of dedicated record outputs that makes it easier to create a stereo recording of the mix. 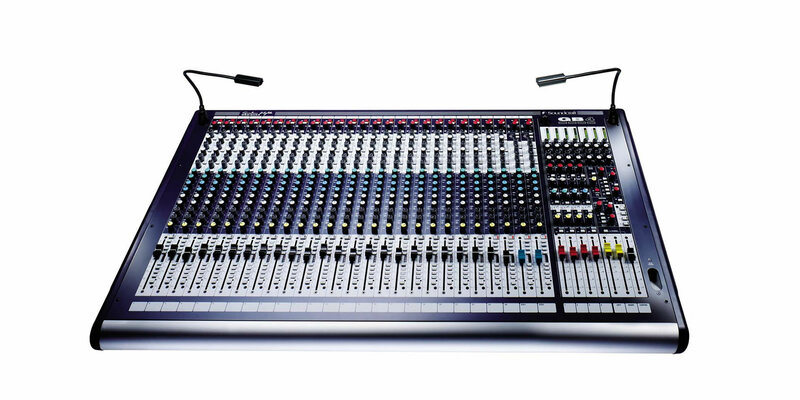 The console also features an output matrix with seven feeds to four outputs, being fed from the group busses and main L, R and C (mono) outputs. The GB4 offers a comprehensive set of functions and facilities in a small and cost-effective footprint, and delivers the high performance and reliability you would expect from a Soundcraft product.